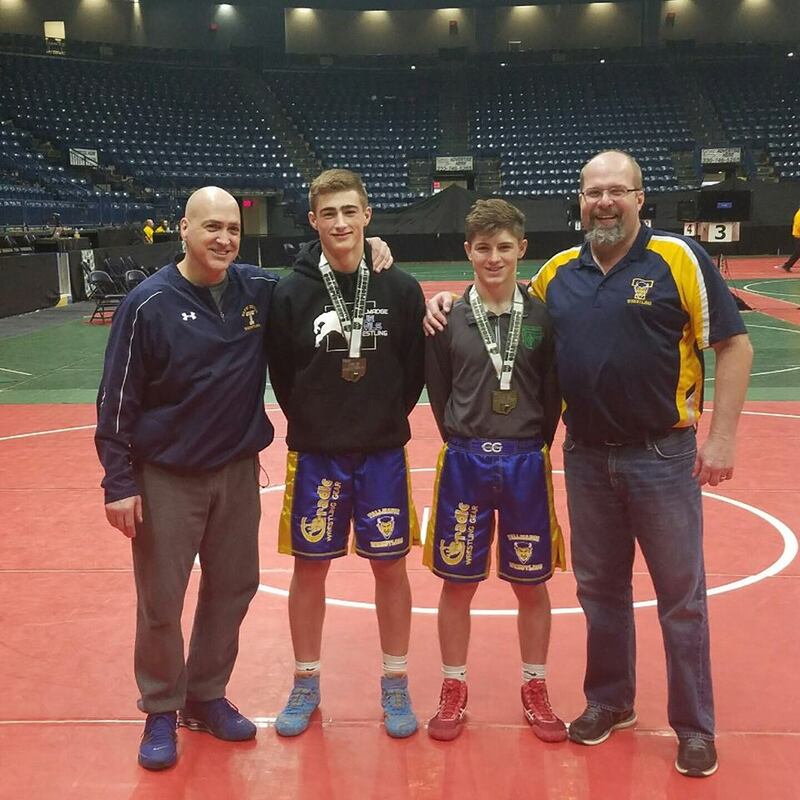 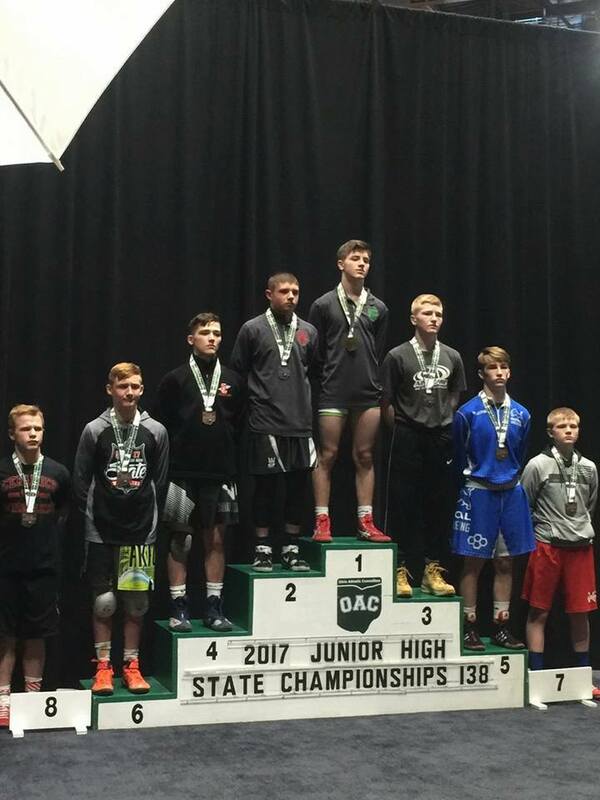 Austin Pownall, OAC Junior High State Tournament Champion, 138 lbs. 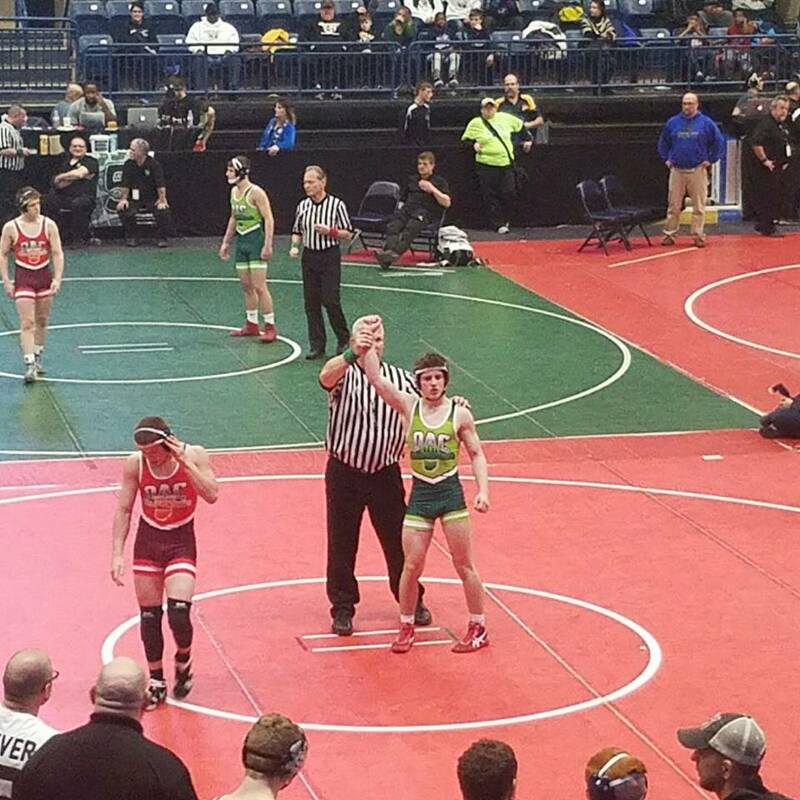 Austin Pownall has his hand raised in victory in the State Finals. 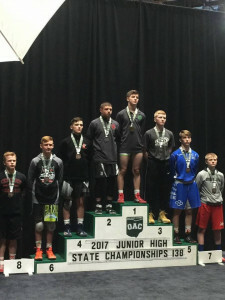 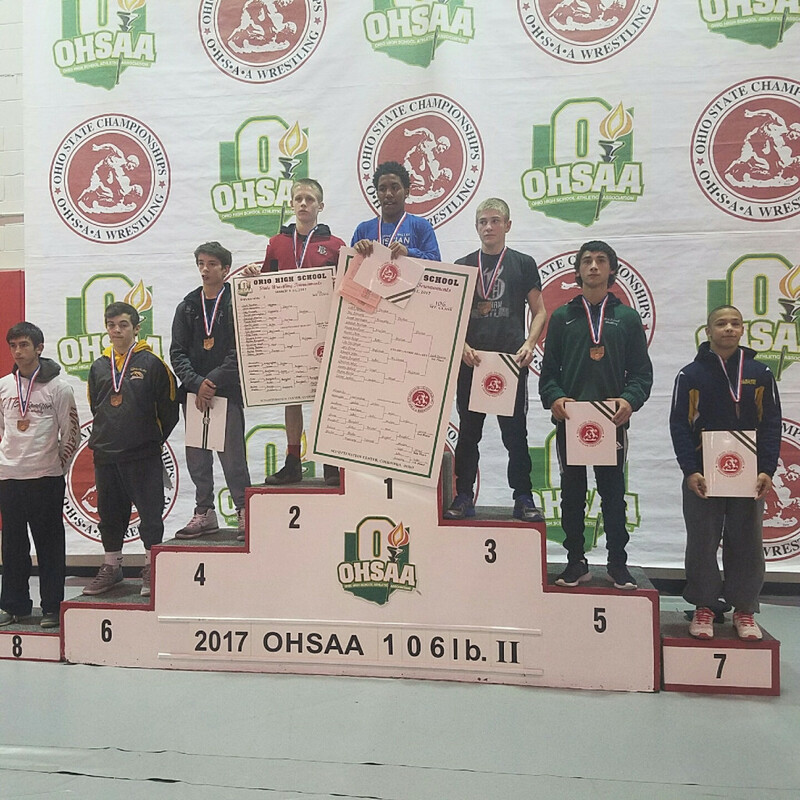 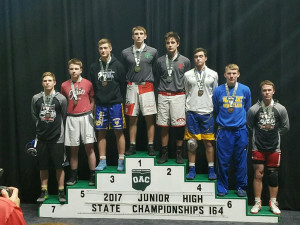 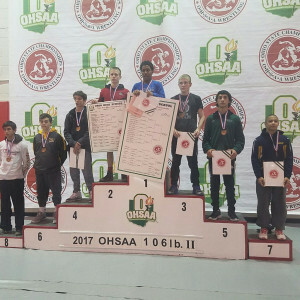 Nate Amato on the podium at the OAC Junior High State Tournament.